With video tutorial, you will learn how to make such adorable crochet project on Irish Lace technique. This crochet project made of a lot of Irish elements and chaotic mesh. We divide our work on some parts: we pin a picture on mat and flower then we make chain made of rings continue I will crochet a leaf on the burden, small elements and big elements, filling up space between motifs by chaotic mesh. 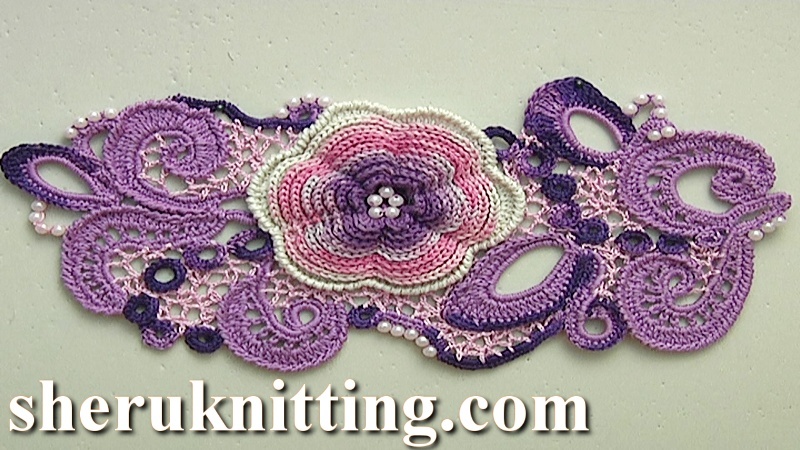 In this first part, I will show you how to crochet such unusual Irish elements.